Oh my I can't believe how fast this challenge has gone this year! We are already well into the last section of the challenge, which has some of my least favourite prompts. Inspired by a song isn't really one of my favourite prompts. I don't if it's just because there is too many songs out there to narrow down inspiration or what? So this isn't a song, but more an album cover. Pink Floyd Dark Side of the Moon. 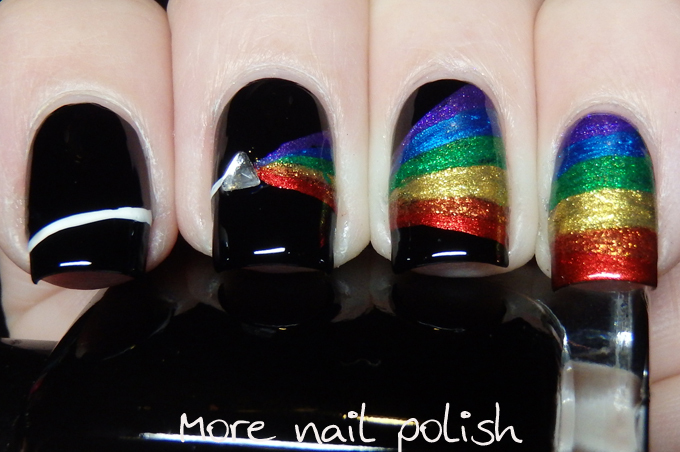 I did similar prism style nails way back in January 2013, but that time around I did a prism on each nail. 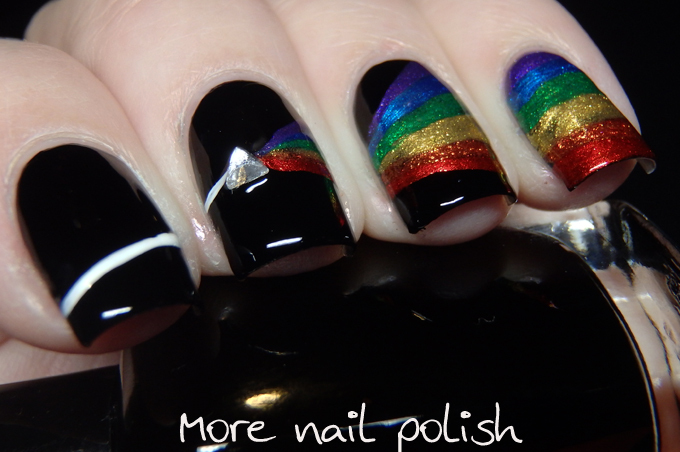 This time I did a large rainbow across three fingers. 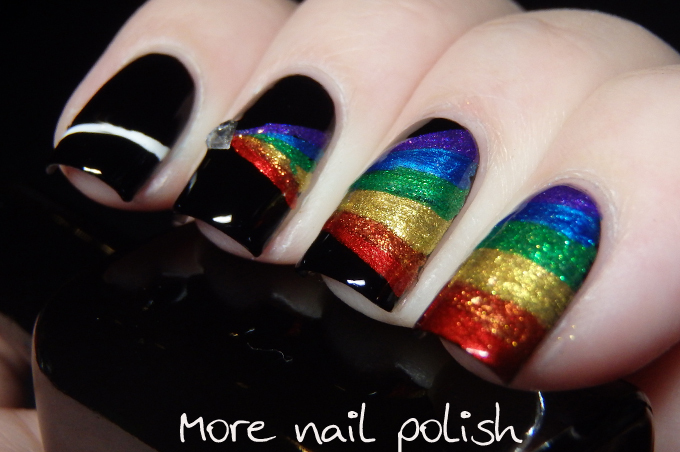 I used six metallic shades from the Pretty Serious Ghosts of Christmas Future collection to create my rainbow, and I think it looks pretty spectacular. 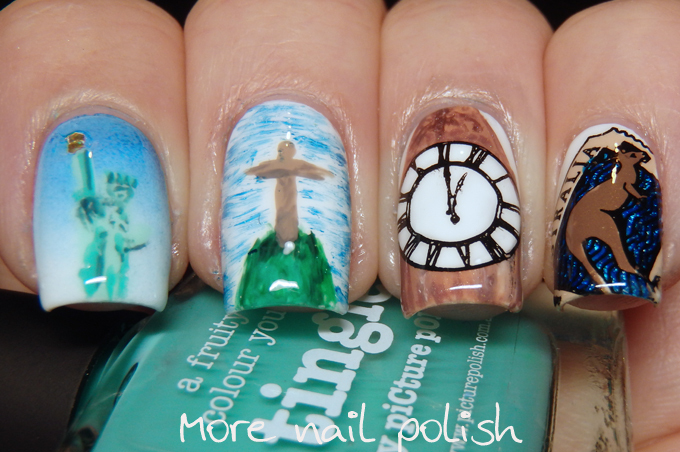 My inspired by a song nails from 2013, 2014 and 2015! Killin' it!!! Fantastic design idea and execution! Great design! That's one of my fav albums (still!). 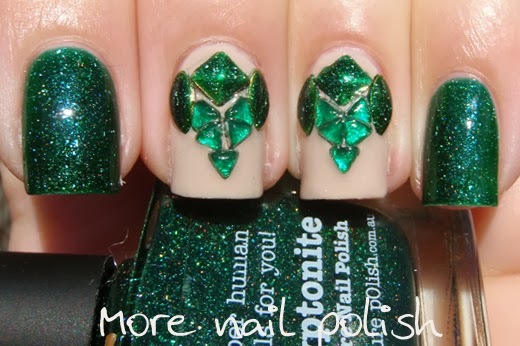 I do admire how you all push yourselves to come up with excellent manis to fit the prompt! 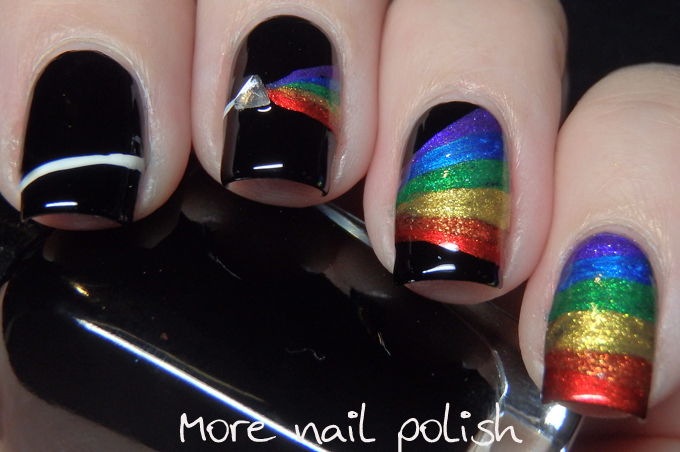 Oh wow, what a beautiful manicure!